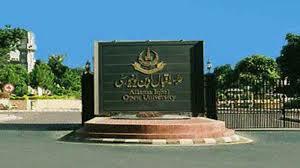 ISLAMABAD: Adult and Childhood Literacy Centers will be set up at Allama Iqbal Open University (AIOU) to promote education at the primary and middle level, as the University’s Executive Council formally approved these projects on Monday. The AIOU Vice Chancellor (VC) Prof Dr Shahid Siddiqui made this announcement while inaugurating second-phase of the Adult Literacy program. About thirty low-grade employees of the University also participated in the event. First-phase of three-month adult literacy program was conducted during August and November of the year 2017. It enabled the illiterate employees to learn some basics of reading and writing, both in Urdu and English. Dr Shahid Siddiqui said that through the Adult and Childhood Literacy Centers, the University will be able to expand literacy network in the country. These will serve as a model to teach those who could not avail the schooling facility at their early age. Initially, the facility of adult literacy will only be available for the University’s employees at the Main Campus. Later, it would be made available in 44 regional offices of the University. The adult literacy program is aimed at making their daily life comfortable and more productive. The initiative is also aimed at capacity-building of the staff, enabling them to deliver the best in performing their official duties. The facility will be free of cost. The University is actively engaged in providing education to all segments of society, the VC added. The program is being run by the University’s Department of Distance and Non-Formal Continuing Education, and its senior faculty members have voluntarily devoted their services to teach the illiterate employees through a specially designed lesson- plan. The inaugural session was also addressed by the Education Department Dean Dr Nasir Mahmood, Adult Literacy Department Director Dr Muhammad Ajaml and other faculty members which included Dr Afshan Huma and Dr Aftab Ahmed and others. Sir literacy depart ka trika kar kia hoga.mn MA B.ed hon .or 15 saal say privat teaching kr rha hon.agr koi vacency ho to hazir hon.